Very sturdy structure in high quality steelwork.High quality sliding groups with constant lubrication.Stress resistant blade frame for keeping up the right tension of 80 blades.Electrical centralized switchboard grouping all functions and supervisions of the machine. This machine is marble gang saw, for cutting marble blocks into slabs with different thickness and sizes. Marble cutting machine is sawing marble by using special diamond segment. The diamond segments are fixed on circular blades, gang saws and circular multiblade cutters, which are used for cutting. Since first recommended in 90’s, the marble gang saw has been widely accepted by the market with the features of compact structure, high precision, stable performance, easy maintenance, high capacity and low power consumption. Our experience of making marble cutting machine allowed us to develop it to reach its construction quality, technical features and use of selected materials. The structure of the marble gang saw through computer-aided design system analysis and molding four integrated steel columns, which supporting the main link, and strengthen stability and steel structure to fit high-speed sawing. 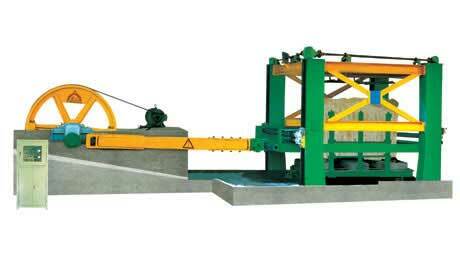 Marble gang saw provided precision diamond saw ride, maintaining a simple linkage, transmission roller sawing. The features of solid structure, fast cutting, less power consumption, high capability, stable performance and low failure rate are posses by this gang saw that is applicable to process marble slabs with various specifications. Yuxiang offer marble gang saw, diamond segment, marble cutting machine, gang saw segments, sandstone gang saw, gang rip saw, gang saw blades, marble cutter, laser cutting machine, marble cutting saws. Our price is competitive and the quality is stable and good.